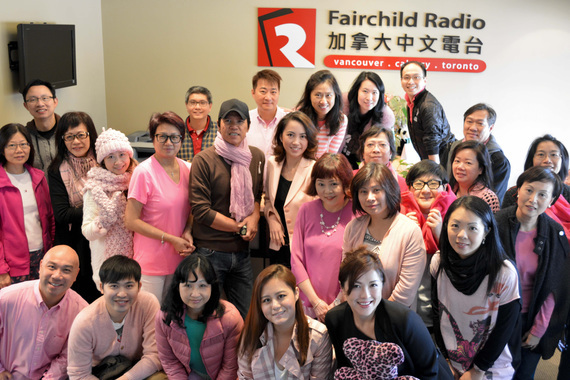 The multicultural radio network Fairchild Radio Group celebrated Pink Day on October 24th to increase awareness of breast cancer and raise funds for research and treatment of the disease. 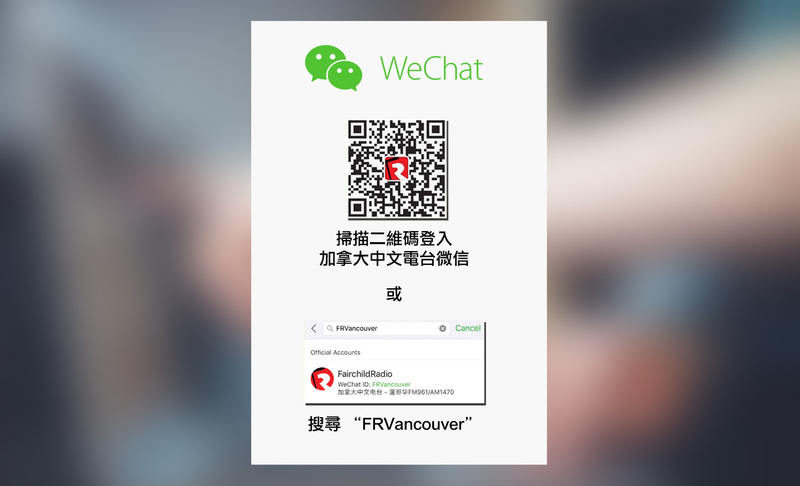 After declaring October 2014 as “Fairchild Radio Breast Cancer Awareness Month”, the radio network’s local operations in Vancouver, Calgary and Toronto each came up with its own idea on how to promote the campaign. 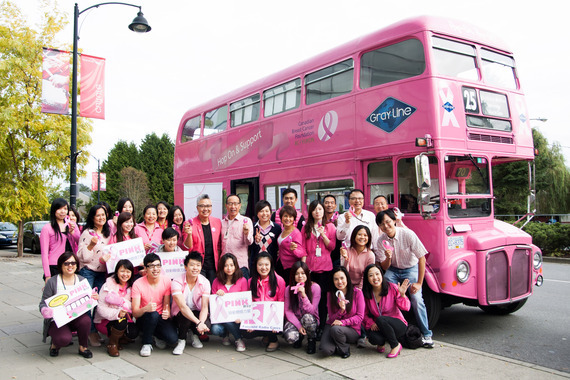 Vancouver teamed up with Canadian Breast Cancer Foundation and brought in the double-decker Pink Bus as a mobile classroom for “Breast Cancer 101”. It also set up a Pink Booth for charity sale and raised $2,600 in less than four hours. Many donors and visitors to the Pink Booth were in awe with the booth’s backdrop, which was made with 500 pink ribbons tied together. But when it comes to DIY, you’ve got to hand it to Calgary. 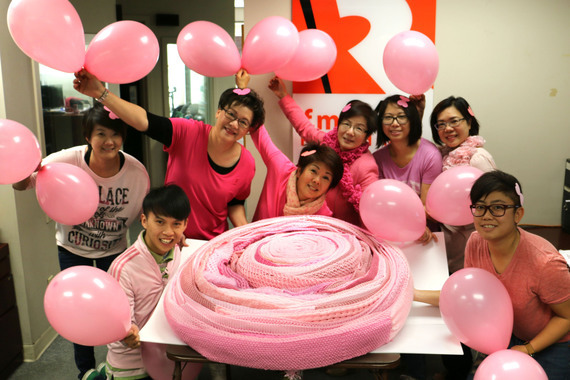 A month before Pink Day, Fairchild Radio Calgary started inviting listeners to knit pink scarves at home for donation. The end result was amazing. Over 100 pink scarves were collected and the total length was 7,791 inches, which is equivalent to the length of 7.5 standard size swimming pools or the height of 108 6-foot-tall people. Fairchild Radio Toronto did what it does best, promoting breast cancer prevention via multimedia. On top of producing special segments and forums on the topic, their DJs and celebrities, all clad in pink, appeared in a video, asking audience not to be shy to learn more about the disease. After all, knowledge is the best medicine when it comes to personal health.